Due to forecast low temperatures and adverse weather conditions, this event has now been cancelled. This Sunday I will be attending Escape the City, a gala event that offers the opportunity for Christchurch residents to unwind in the beautiful Canterbury high country. 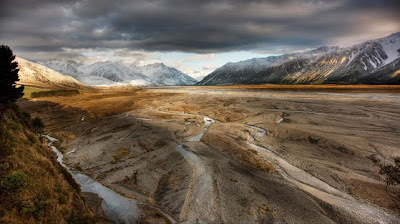 Glenfalloch Station, at the head of the Rakaia river will open it's gates to the public from 11am – 3pm on the 24 July. There will be entertainment, a farmers and artisan market and art exhibtion, a musterers luch, and plenty of opportunties to explore the rugged high country. When you arrive you will be warmly welcomed with a hot chocolate and some mulled wine. The weather forecast for the area is looking better than for the Canterbury plains, and there has been lots of snow on the mountains making the area very picturesque. Ticket can be purchased for $15 per car from Traiteurs in Merivale, or Mercato at Fitzgerald Ave. otherwise you can pay $20 at the gate. Driving directions can be found here. Proceeds from the event will go to the Canterbury earthqauke recovery fund. Oooh have a great day Rose, I wanted to come but I'm teaching this weekend. Hi Rose, I can't make it this afternoon and I don't have your email address or phone number on me so I really hope you get this message. I will reschedule with you soon.